News: Korean architect Seung H-Sang is set to be officially named as Seoul's first city architect this week, in a move to re-establish the city's "architectural identity" after decades of unchecked development (+ interview). Seung, who worked for prominent South Korean architect Kim Swoo Geun before setting up his own practice IROJE architects & planners in 1989, has been appointed city architect by Seoul's mayor Park Won Soon. He will run a newly created team of architects, planners and urbanists and will oversee the planning and bidding process for all public projects, as well as having some influence on the approval process and design criteria for private buildings. "Seoul desperately needed a single, consequent plan that would systemise the process and revive its identity," Seung told Dezeen. "Mr. Park appreciated the urgency of the matter. He pushed for the adoption of the city architect system which is widely used in the Western hemisphere. Since he had already been discussing architectural issues with me for a long time, he asked me to take on the new role." Seung will serve for an initial two years, and is eligible to be re-appointed at the end of that period. He will put some of his personal work with his practice on hold. A team of researchers, administrative staff, planners and architects is being assembled to created a full architects office for the city. "I wish to establish Seoul's architectural identity," said Seung. "I want to raise awareness of what public interest values architecture should embody. I want to change the concept of what a city is, away from the old one-dimensional growth and expansion story." "In the past century, we misunderstood the meaning of modernisation, thinking that it meant Westernisation," he said. "The good thing is we still have the place markers to guide it back to its original state in the form of the beautiful mountains, the valleys and the water. The most important task is to restore that scenery, to remember the heritage. We can find Seoul's identity through regeneration, not redevelopment." 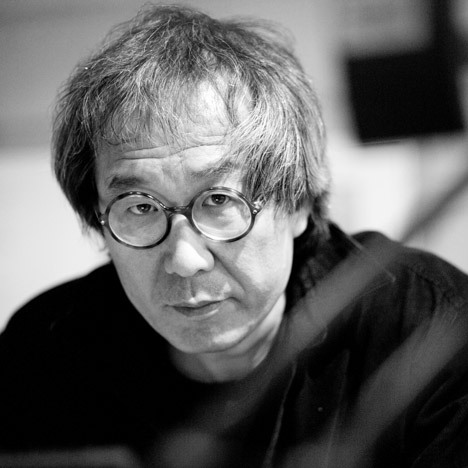 Described as one of the most important South Korean architects, Seung designed Korea's pavilion for the 2008 Venice Architecture Biennale and was director of the Gwangju Design Biennale in 2011. He is currently working on a number of urban redevelopment projects in China through IROJE, including the repurposing of an abandoned pottery factory in in the porcelain capital of Jingdezhin, Jaingxi province, which is being turned into an atelier, gallery and shop. Anna Winston: How did you come to be appointed as Seoul's first city architect? Seung H-Sang: Seoul's mayor, Park Won Soon, who was recently re-elected in June has known for a long time about the importance of architecture. Seoul, a city of over ten million people, stuck to an old approach and treated the topic as a subset of civil engineering. Most departments of the city engaged in a large amount of architecture related projects but each applied different approaches. Seoul desperately needed a single, consequent plan that would systemise the process and revive its identity. Mr. Park appreciated the urgency of the matter. He pushed for the adoption of the city architect system which is widely used in the Western hemisphere. Since he had already been discussing architectural issues with me for a long time, he asked me to take on the new role. Anna Winston: What does the role actually involve? Seung H-Sang: I will work for all of the public works in Seoul city. I’ll direct the process of design including bidding of all public projects and even for private projects I will be creating the design criteria. I’m aiming to increase the consideration of public interest and fairness through my work. Anna Winston: Will you work alone or with a team? Seung H-Sang: I will have a team of administrators and research staff to form an architectural office. Anna Winston: How will this affect your work with your practice? Seung H-Sang: I know very well that the only way to maintain the purpose of the city architect is to not taint it by linking the office with any private benefit. So it is inevitable that I will personally perhaps suffer some loss. I can undertake any job that isn’t related to Seoul city, of course. Anna Winston: What do you hope to achieve? Seung H-Sang: I wish to establish Seoul's architectural identity. I want to raise awareness of what public interest values architecture should embody. I want to change the concept of what a city is, away from the old one-dimensional growth and expansion story. David Harvey values ethics over aesthetics, narrative dominating image and becoming trumping being. I interpret this to mean that ordinariness is important. This is what I pursue in architecture. Anna Winston: How long will you serve as city architect? Seung H-Sang: The term will be for two years. I am eligible to be re-appointed. Anna Winston: What is Seoul's architectural identity? Seung H-Sang: Seoul is a 600 year old historic city based on a mountainous terrain that is the capital of the Republic of Korea. It is completely apart from other cities that were established on flat land. It was built with consideration to the mountainous scenery, with buildings placed in small units and the beauty of the collective units was the architectural identity of Seoul. So the landmark of Seoul was the terrain, you could say. But in the past century, we misunderstood the meaning of modernisation, thinking that it meant Westernisation and imposed the logic of a levelised land configuration on this place. The scenery of the collective units was significantly destroyed. The good thing is we still have the place markers to guide it back to its original state in the form of the beautiful mountains, the valleys and the water. The most important task is to restore that scenery, to remember the heritage. We can do this not through governmental imposition or decree but by citizens’ cooperation. We can find Seoul’s identity through regeneration, not redevelopment.